In actuality, this gibberish is just Japanese text, written phonetically in English, with most vowels removed. 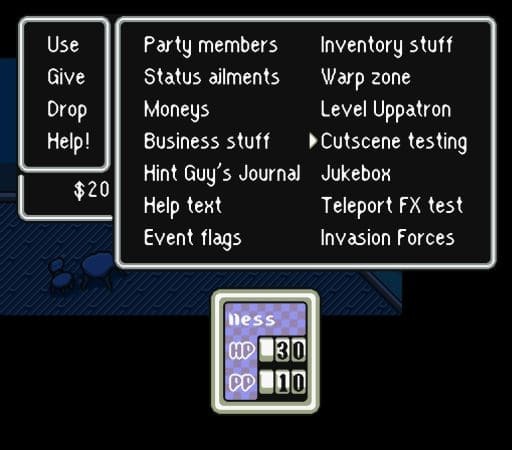 My interest in this weird menu is actually what led me to join the EarthBound community back in 1998, so it’s always been something I enjoy messing around with. 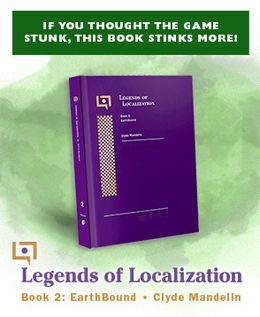 And now you can too, even if you don’t know a lick of Japanese! Thanks to vince94, there’s now a translation patch for this debug menu, which you can get here! If you want to access this debug menu, I made a code a few years back that turns the ATM card into a debug menu item. Check it out here! I recall someone making a similar patch a few years ago.